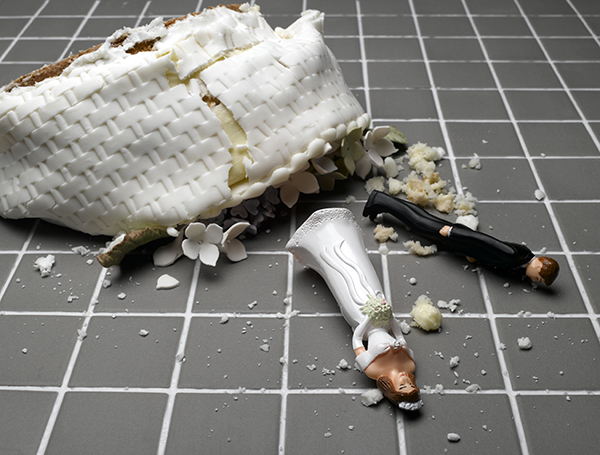 Will Your Financial Accounts Survive Your Divorce? When a couple decides to divorce, they have a host of decisions to make, not the least of which is how to split their assets. But while figuring out who gets the house and who gets the car may top many couples' priority lists, it's important not to forget other important assets: brokerage and retirement accounts. "Divorce is one of the biggest financial decisions most people ever make in their lifetime," said Carol Lee Roberts, the general manager of the Institute for Divorce Financial Analysts, an organization that trains financial professionals to help divorcing couples navigate financial issues. In most cases, soon-to-be ex-spouses need to be careful to ensure that however their assets are divided, each leaves the marriage with some retirement savings intact, Roberts said. She discourages couples, for instance, from deciding that a simple way to equitably split assets would be to leave one person with the couple's home and the other with sole ownership of the retirement assets. "I think it's very important, even when you're going through a divorce, that you keep in mind that eventually you'll want to retire," Roberts said. "It's unlikely that Social Security will ever again be enough for anyone to retire on, so you're going to want to do something on your own." Retirement accounts bearing just one spouse's name may still be divided between both spouses. If Spouse A has an IRA in her name, Spouse B may still receive assets from Spouse A's account in a divorce settlement. Roberts said such divisions are typical when one person has more in retirement assets than the other. If there’s a chance you’ll be rolling over assets from one IRA into another, FINRA has some tips to help guide you through the process. Freezing joint accounts during contentious divorce proceedings can protect your financial interests. If you're worried about actions your spouse may take regarding a joint brokerage account — investments or withdrawals you disagree with, for instance — you can contact your financial institution and ask that the account be frozen until you reach an agreement on how to divide your assets, Roberts said. Liquidating your investments for the purpose of splitting the proceeds in a divorce settlement comes with risks. Before you go ahead and sell any assets, be sure you consider the tax consequences and any possible penalties. In standard, taxable accounts, selling securities can trigger capital gains taxes. And some assets, such as annuities, can come with steep penalties if you exit the investment early. There's also the question of timing — if your divorce happens to take place during a market decline, it might not be the most opportune time to sell. And liquidation of or early withdrawal from certain investments may carry penalties. The process of dividing investment accounts differs depending on the type of account in question. In a standard brokerage account, the divorcing couple may simply provide a letter to their financial institution requesting that the joint account be closed and that new, separate accounts be opened in each person's name. The letter would also detail how the investment assets would be allocated between the two accounts. If one spouse is moving assets to an account with a new firm, it’s important to note that not all assets, such as proprietary investment funds or insurance products, may be transferable, and liquidating such products may incur financial penalties and fees. In the case of an IRA, a financial institution may ask the divorcing couple to sign a distribution form and provide a copy of the divorce decree. In such an instance, one spouse would open a new retirement account to hold his or her portion of the assets while the other spouse would retain the original account. To split employer-sponsored 401(k) plans, you would have to provide a court order known as a Qualified Domestic Relations Order (QDRO) to the 401(k) plan administrator. Exactly how the 401(k) account’s assets are divided will depend in part on the plan administrator's own guidelines. Some plan administrators allow the non-employee spouse to open his or her own account within the plan. Other administrators will not allow the non-employee spouse to remain in the plan and instead require a rollover into an IRA or for that spouse to take a penalty-free distribution. Beneficiaries should be updated. Sometimes couples who divorce forget to remove each other as beneficiaries from their retirement accounts, according to Roberts. It’s a good idea to check all beneficiary information and update as you feel appropriate. Financial professionals can help. Dividing financial assets during divorce can be an overwhelming task, so you might consider asking for guidance from your attorney. A lawyer with the right experience can help with estate planning and other investment-related issues. You may also consider working with a broker or other type of financial professional. FINRA offers a series of steps to follow when it comes to finding and doing business with a financial pro. A key step is to see if the individual you are considering is registered. There are many types of investment professionals. But when it comes to buying and selling stocks, bonds and other securities products, only individuals and firms registered with FINRA (for securities brokers), the Securities and Exchange Commission (for certain investment advisers), and in those states where required by law, can do so. Check out brokers or investment advisers using FINRA BrokerCheck. Go to www.FINRA.org/BrokerCheck or call (800) 289-9999.